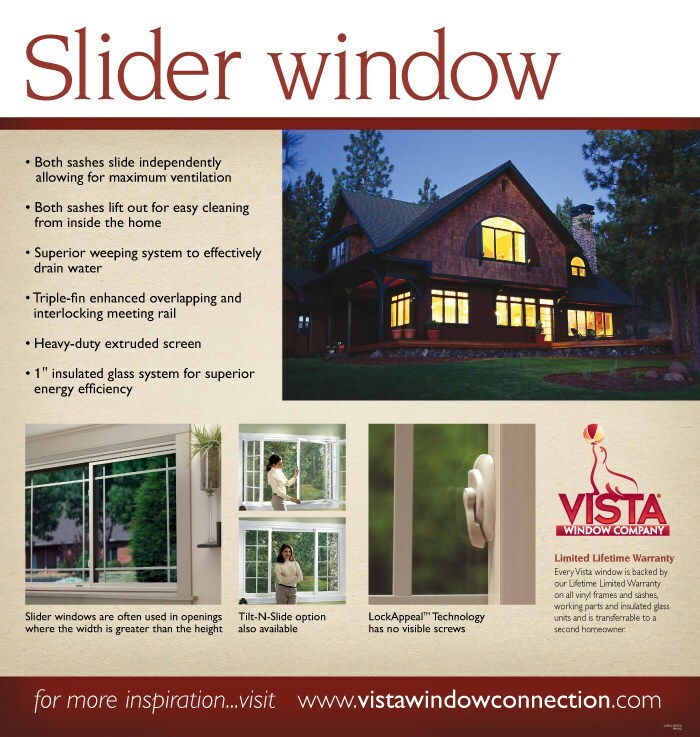 Our Vista Windows Slider Windows come with many valuable advantages. 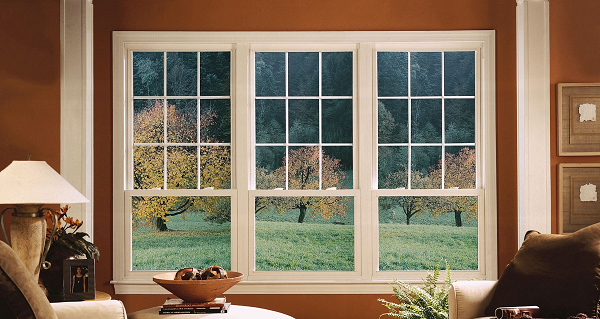 Continually, both sashes slide independently allowing for maximum ventilation and both sashes also lift out for easy cleaning from inside of the home. Other benefits include the way the superior weeping system effectively drains water, the triple-fin enhanced overlapping and interlocking meeting rail, the heavy duty extruded screen, and the one inch insulated glass system for superior energy efficiency.